Ellen King has been at the forefront of Ireland’s ever-changing electronic music community for a couple of years now. Since 2016 – the year that saw her make her live Boiler Room debut, release her ‘Romance’ EP on Art For Blind and start the influential GASH COLLECTIVE – the Cork native has been working tirelessly, not only on her own behalf, but in the name of achieving greater diversity and representation in the country’s scene. All to the tune of her dark, experimental and percussive productions and DJ sets. 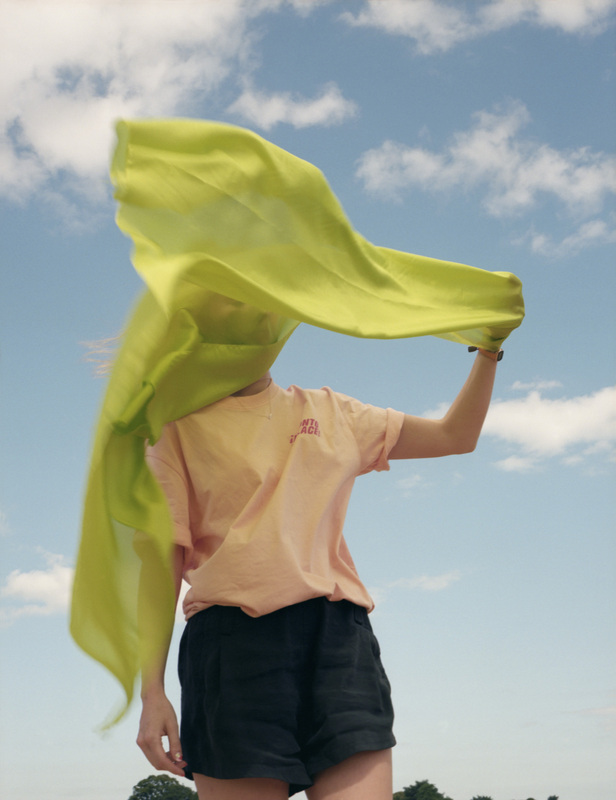 Newly Berlin-based, ELLLL’s momentum continues to pick up, but her work at home with GASH COLLECTIVE – along with fellow DJs, producers and promoters Cáit, Lolz and Cailín Power – remains central to her ethos. Launched on International Womxn’s Day 2016, GASH has strived to support, elevate, teach and support female identifying and LGBTQ+ producers and DJs coming out of Ireland. Through hosting free courses, workshops parties and radio shows, the collective has fought tooth and nail against a male-dominated scene. As their scope and reputation has grown, the positive impact of their work has been palpable. Both within and outside the crucial conversation around representation, ELLLL is pointedly aware of the challenges and changes that still must be confronted in the Irish scene. Having studied music in university – her background is in classical piano – King’s productions range from eerie, propulsive cuts that blend techno with artful sampling to a much more experimental and ambient end in her WRY MYRRH collaborative project with fellow Corkonian Irene Buckley. While there has been progress, though, King notes that the number of womxn producing music in Ireland is still dishearteningly low. Having moved to Berlin just a month ago, King’s determination is clear. As she settles into the city and readies two new EPs for release by the end of the year, that determination feels well and truly justified. In the meantime, ELLLL has stepped up with a whopping 80-minute mix as part of our Fresh Kicks series. Dig in for a feast of fiery minimalism and experimental techno and electro. "Pariah 'Here from Where We Are'"
"I watched Chronicle on Netflix the other night. It’s a bad sci-fi, thriller thing. I do not recommend it"
"We had Deena abdelwahed over for a Gash party in July. She was amazing!" "A$AP Rocky Ft Skepta 'Praise the Lord'"
"Masahiro Sugaya 'Music From Alejo = アレッホ - 風を讃えるために'"
What's the last dream you remember? "There are many, I’m afraid to look at my discogs at this stage." "In Ireland probably Electric in Galway. Elsewhere, i’m not sure!" Want more? Check out our recent Fresh Kicks mixes with Katie Rex and Videopath. Check out our 12 Irish artists you have to know from earlier this year here.